A: This class will be geared to both actors and non-actors, so it will be a good general introduction to the technique. It will be appropriate if you are comfortable with some degree of physicality such as lying on the floor on mats, crawling, and playing movement games, and you are OK working in activity in front of a group. This could mean reciting a poem, singing, or performing some other activity that you do in your life. 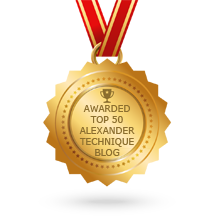 That said, private lessons are always the most efficient way of learning the Alexander Technique. Still, many people enjoy a group learning situation. The group class is less expensive than private lessons. Feel free to give me a call at 415-342-6255, if you have more specific concerns. Otherwise, you are welcome to join the class, and/or I’d be happy to do some one-on-one work with you. If you’re debating whether to sign up for a group Alexander Technique class or private lessons, I hope this will be helpful for you!